If you ask me, it’s unfortunate that cafes in and around Beirut have no recourse but to brand themselves as arguileh hangouts in order to effectively draw a crowd. Yes, I vehemently oppose second-hand smoking. Yes, I strive to avoid settings where smoking sullies the breathable air. I’m there for the food – am I part of a dying breed? 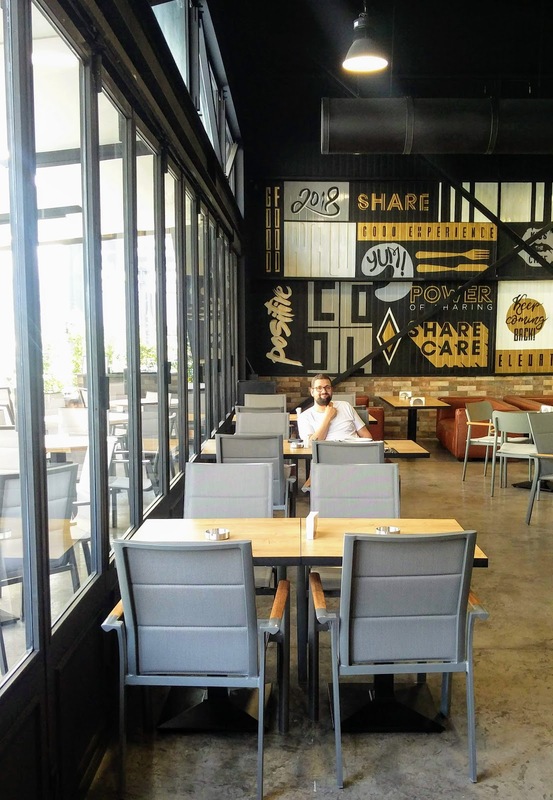 While newly opened RAW Café, sibling venture of the nightclub RAW next door, may boast Lebanon’s favorite pastime, the hookah, I have news for you, folks: their cuisine doesn’t cut corners or make compromises on taste, quality, or aesthetics. 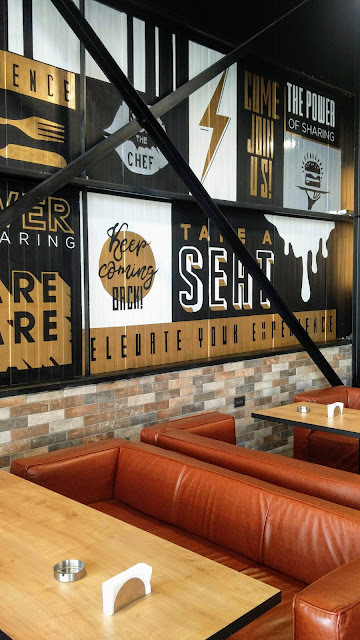 Even the menu prices are an ode to affordable dining out, something the F&B industry is finally starting to promote in this wretched economy we live in. 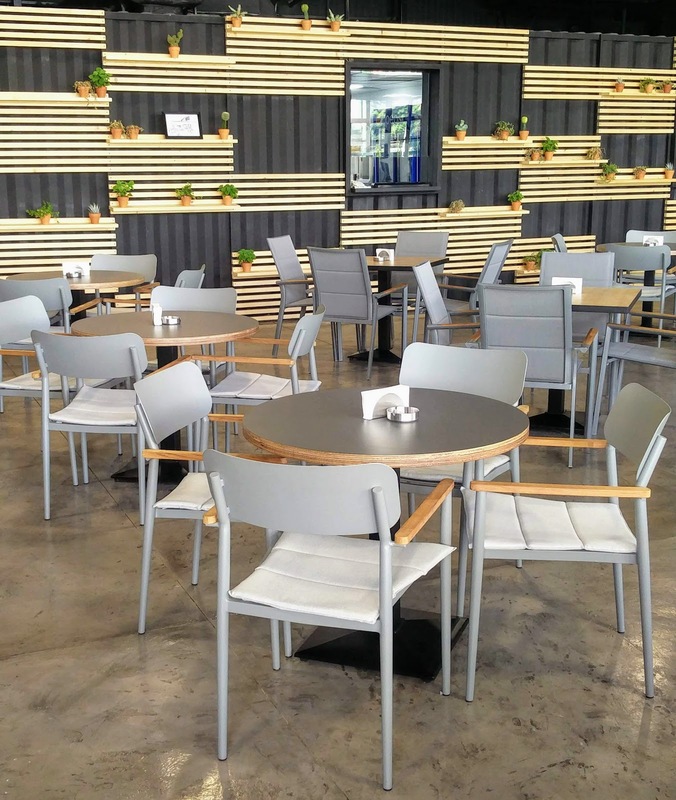 Last Saturday, we pushed past the large glass doors and into a space whose industrial motif, high ceiling, lightweight aluminum chairs, and all-glass façade found us hopeful that maybe, arguileh aside, this café would dazzle on the alimentary side. Joanna, our gentle and polite waitress, left us to survey the menu and make ourselves comfortable. 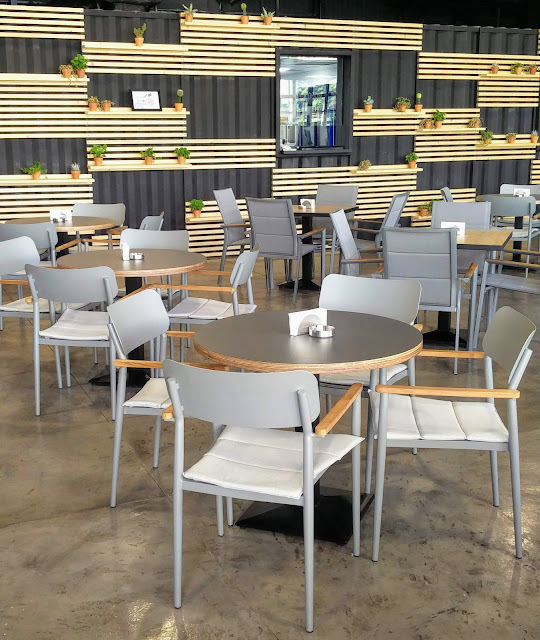 The kitchen features a little bit of everything: appetizers to share, creamy gratins, salads, mains, sandwiches, and a Lebanese mezza corner. 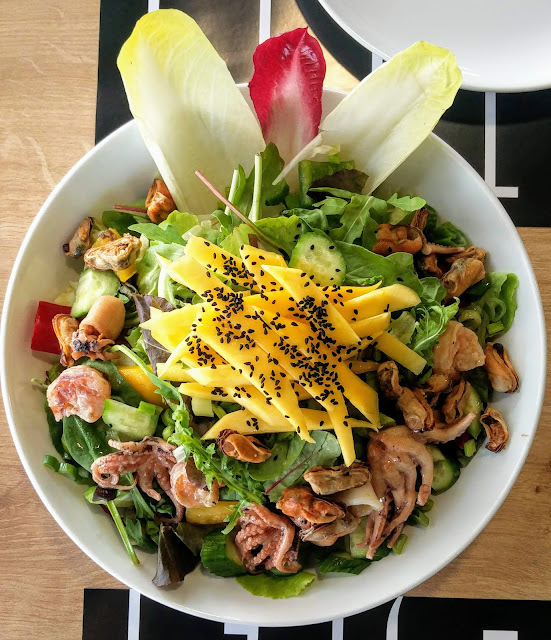 We started with a resplendent, guilt-free seafood salad (18,000 LBP) decked with boiled mussels, octopus and shrimp, along with sweet slivers of mango and black sesame seeds. 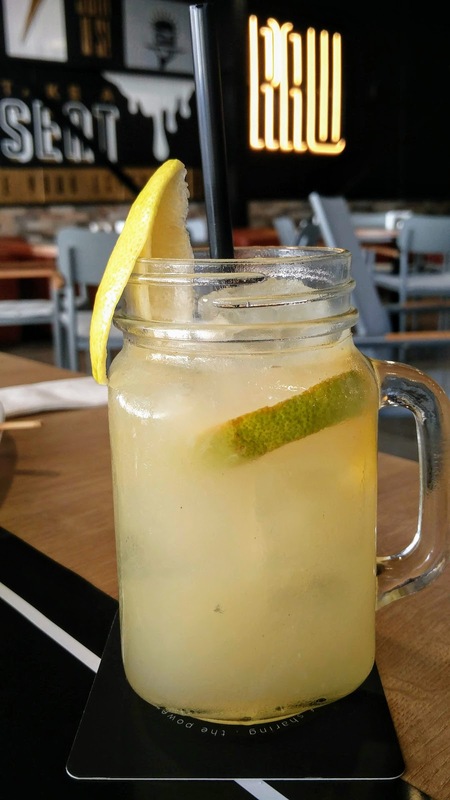 Paired with a zingy, zesty, fresh ginger lemonade, our appetites were sufficiently whetted. A seafood salad bursting with color and freshness! 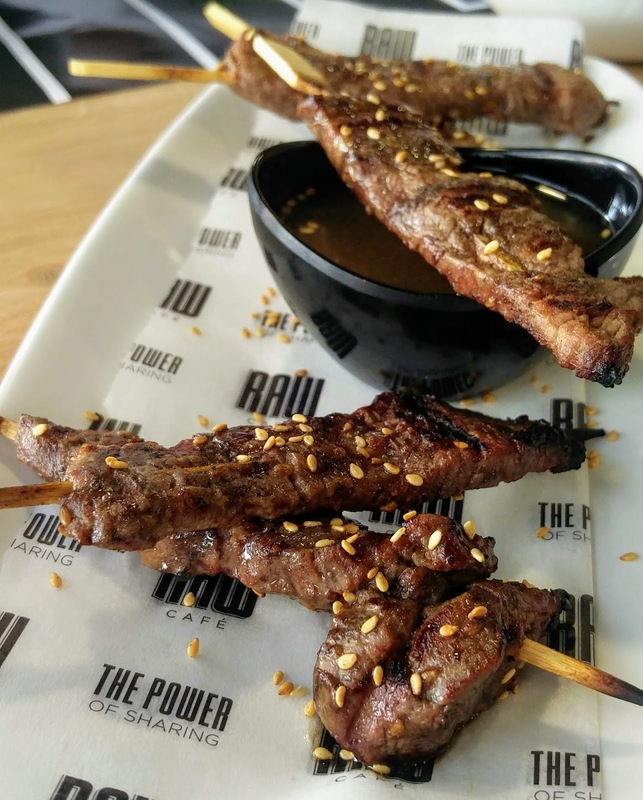 Next emerged the skewers: Beef teriyaki studded with white sesame seeds, countered by Cajun-marinated chicken dressed in black sesame (#BlackSeedsMatter). But the common denominator, beyond the seeds, was the incredibly tender, beautifully aromatic meat. You hardly need to chew, the flesh yields so readily. Each dish proffers five skewers at roughly 12,000 LBP each. 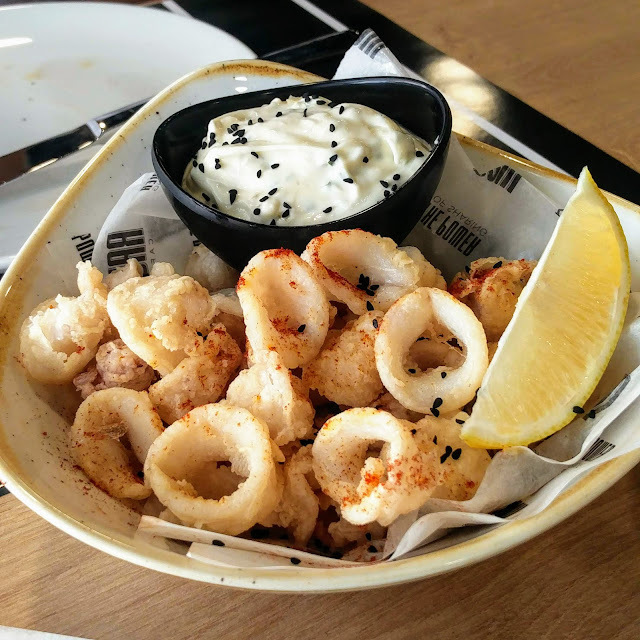 We took a tiny detour to the fried offenders and dipped into breaded calamari with tartar sauce (16,000 LBP). Totally worthwhile, as the breading is rather ethereal, not leaving a trace of oil on your fingers. 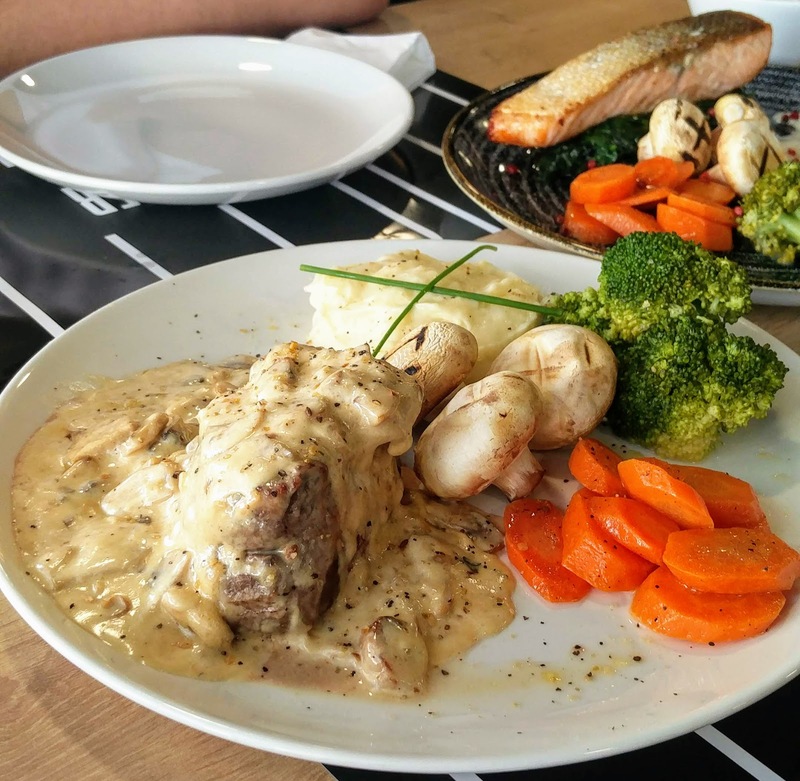 Our mains centered around a towering hunk of beef tenderloin – dubbed Steak Diane – smothered in a mushroom sauce where cheese (I’ll wager Brie) takes center stage (25,000 LBP). You know how typically at a restaurant, your meat arrives one shade of doneness beyond that requested? Yeah, not at Raw Café. Medium means medium, with a crispy exterior exposing a rosy core. 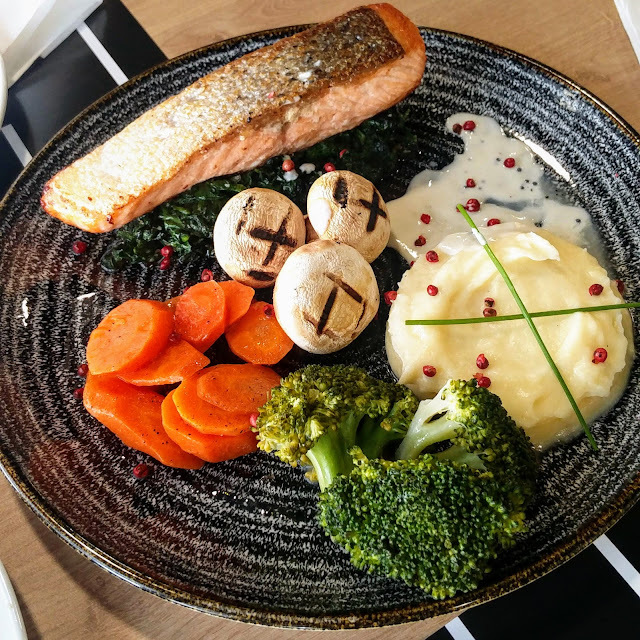 The plate incorporates a generous medley of half-steamed broccoli, carrots, and mushrooms, bordered by a silky mountain of potato puree. My roasted salmon left nothing to be desired (28,000 LBP). Crispy skin, supple flesh, pink peppercorns in a delicate caviar sauce. A similar portrait as the steak platter with the puree and veggies. It’s a massive meal, admittedly self-inflicted with the parade of food leading up to it. I was prepared to forego dessert, but my stomach fluttered as I read “Peanut Butter Cookie” on the menu (9,500 LBP). I’ve never seen peanut butter anything at any dining spot in all of Lebanon. 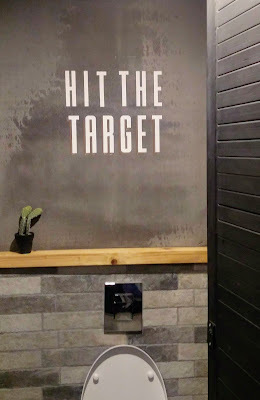 As we waited for the sweet revelation, I made my way to the restroom mostly to clock in some movement after all the sitting and pampering. Here’s what I discovered, much to my delight! 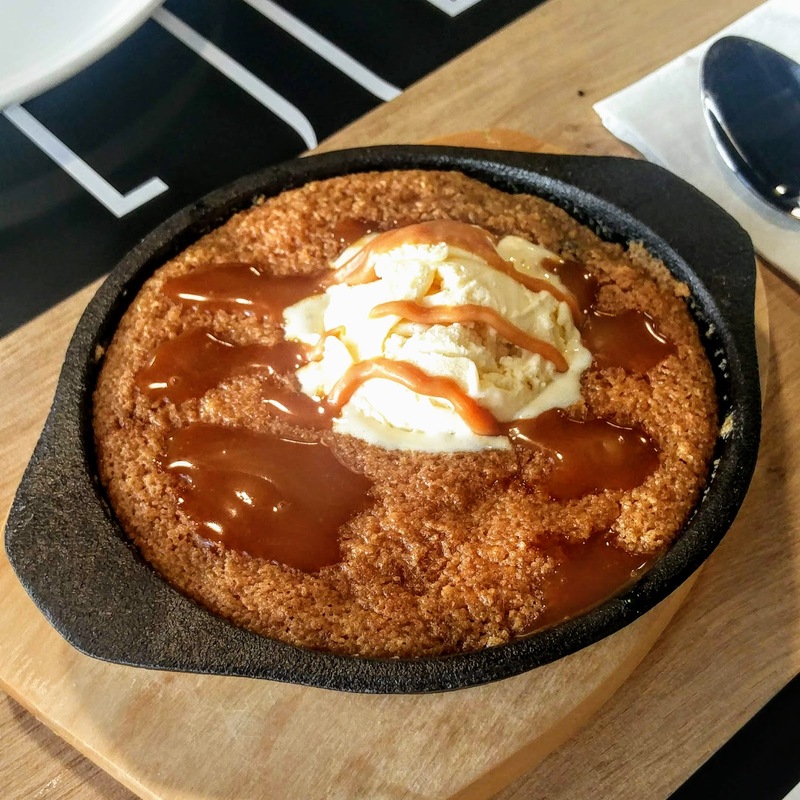 Back to dessert: peanut butter cookie dough baked to a soft consistency in a cast-iron skillet, crowned with a dollop of ice cream and a drizzle of caramel sauce. Did I mention the dark chocolate chips folded into the crumb? Be still my heart; tummy, keep digesting! Peanut butter cookie in a skillet! 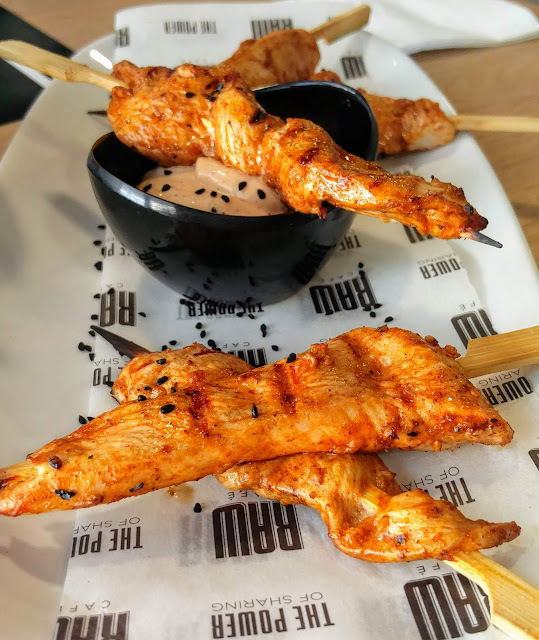 Utterly breathless – both at the restaurant’s performance and our level of satiety – we headed out into the warm autumn air. We promised Nabil, the operations manager responsible for crafting our tantalizing lemonade, we’d be back soon. That’s a promise I rarely make to a so-called arguileh café. 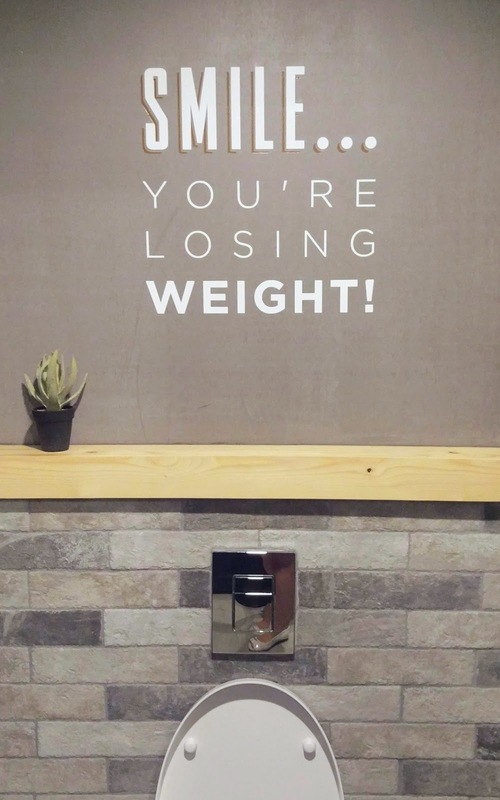 But hey, who doesn’t crumble in the face of good food? We all have our breaking points.